Where the EVENT centers around YOU! 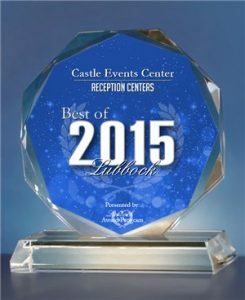 Castle Event Center in Lubbock, Texas is the premier event hosting location for weddings, receptions, graduations, birthdays, and any other event. We have a unique old world setting that will add an unforgettable character to your next event. Or any other Special Event you want to become a memory you and your guests will cherish for a lifetime. Our Unique Old World Setting Can Make That Happen.